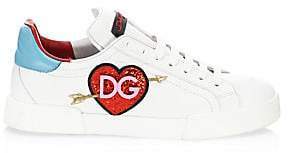 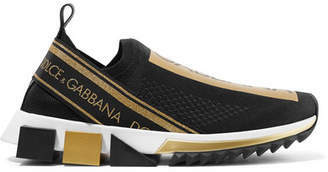 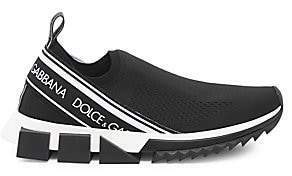 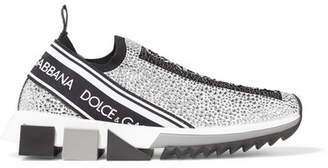 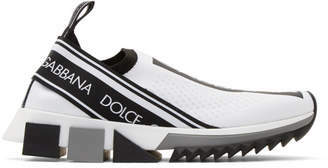 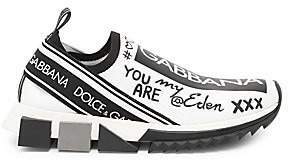 Dolce & Gabbana's sneakers have gummy, logo-embossed soles in hard-to-miss neon. 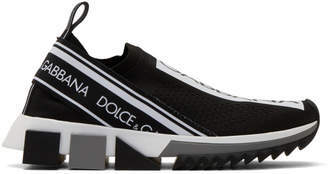 Made in Italy from white leather, they're detailed with burnished lizard-effect trims, red stitching and logo-woven laces, but come with a spare plain pair, too. 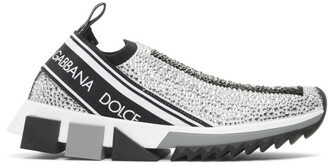 Let them do the talking by styling them with a simple slip dress or jeans.